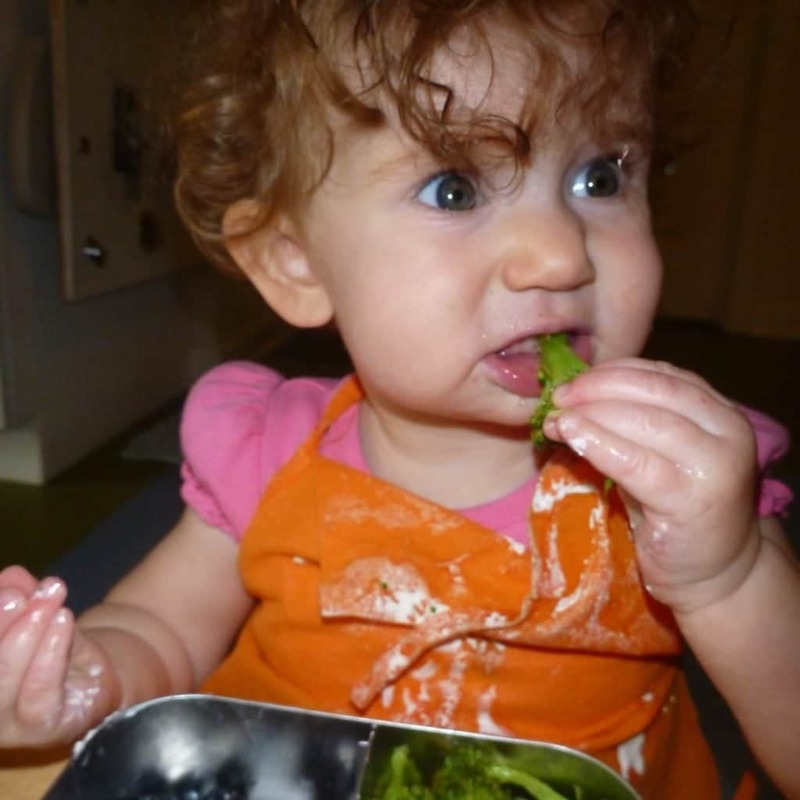 If your child is a particular eater, you are not alone. Young children’s tastes are just developing. We recommend reading through the establishing a family mealtime and involving children in the planning sections as they are foundational habits to supporting children who have very particular taste. If you have started bad habits we recommend a three step reset. If your child is over two years old they can understand mistakes. Naming mistakes builds trust and sets new foundations for healthy eating habits. Be honest with your child and tell them, “I have made some unhealthy choices and now we are going to work as a whole family to be healthier.” Talk about the decisions you’ve made around what is going to be cooked, who is going to be involved, and the kinds of foods that will be available. We recommend following Ellyn Satter’s division of feeding responsibility in which you will choose what, when, and where the family eats. Tell children what is being served, include them up front in the meal planning if age appropriate but do not change plans on children’s whims. Prepare and offer just one meal with 2-5 choices for everyone to eat and 2-3 choices for snacks. Establish and stick to practical meal and snack times. Once you’ve established your plan you need to step back and trust your child will meet their needs. Children will not starve themselves. Do not take on their responsibilities. Children can choose if they eat the food offered and how much they eat. The more stress you create surrounding food, the more children will resist, set into their preferences, and engage in a power struggle. You can only teach from a place of composure so once you’ve outlined your plan allow children to hold their responsibilities. Both you and your child will need empathy through these changes You’re not alone so here are some words to help get you through. Sweets and unhealthy foods often taste good. Being hungry because you don’t like what is offered is uncomfortable. Seeing your child upset is hard. Sticking with what you said can be difficult. Getting used to new things is hard. Resisting the urge to take on children’s responsibilities with cajoling, rewarding, or punishing children’s choice to eat or not eat is a big task. The good news, very few adults eat only mac and cheese. With time and your patient coaching children will grow to like diverse foods.